To start off, choose bottles and other related feeding aids if you are travelling with a bottle- or breast-fed baby. You are always allowed to bring more than the usual 100 ml of liquids such as milk, sterilised water and baby food in your hand luggage if you are travelling with a baby. Breast milk bottles, breast milk pumps, pump and save or cooler bags will be your best friends on your trip away. But nowadays the choice of such baby products is bamboozling. For collecting, storing, transporting, freezing and feeding with breast milk, Medela & ComoTomo brands are hard to beat. Our favourite Cooler Bag and double-walled Save Bags from the Medela’s collection come with four Medela BPA-free breast milk bottles and a separate cooling element, and also have a leak-proof double zipper. You will want something to keep your valuable expressed milk cool and safe, so bring these bags wherever you need to take them. Long-term storage without any significant loss of vitamins and nutrients is practically guaranteed with this solution. Feeding your baby when you take off or land is a perfect way to calm your child and mitigate the risk of suffering from an earache. Natural Feel Baby Bottle by ComoTomo features an innovative and sensible design to most closely mimic natural breastfeeding, which means it will help you avoid a nightmare journey. A skin-like, soft and squeezable body, that is like no other bottle in the world, prevents colic whilst completely eliminating annoying leaks. These Bottles come in two different colours – pink and green – so why not choose something to make your life easier, in the colour of your choice? Choosing the right nappies for your baby is essentially the only bit of the ordeal that parents have any degree of control over. Whether you are travelling on a plane, train or car, check out the products by Seventh Generation that will allow your babies to stay calm and comfortable, as their sensitive skin remains protected and dry. The ultra-absorbent core in Seventh Generation nappies, made with sustainably-sourced fluff and 0% chlorine bleaching, helps prevent leaks. They are better for your pocket too in terms of their affordable price. Be sure to browse the range of baby and toddler essentials by Naty. Their first eco nappies with OK Biobased Certification from one of the world’s most demanding organisations, Vincotte, are the perfect travel aid. Designed to minimise the risks of allergy and nappy rash, these products will ensure that your kids entertain calm and content, even if you are travelling for long periods of time or overseas. The skin of your kids will be crying out for attention during the trip. Battling sticky faces, messy hands, probable changes of temperature and wiping little bottoms are always the hardest part of skin regimes. 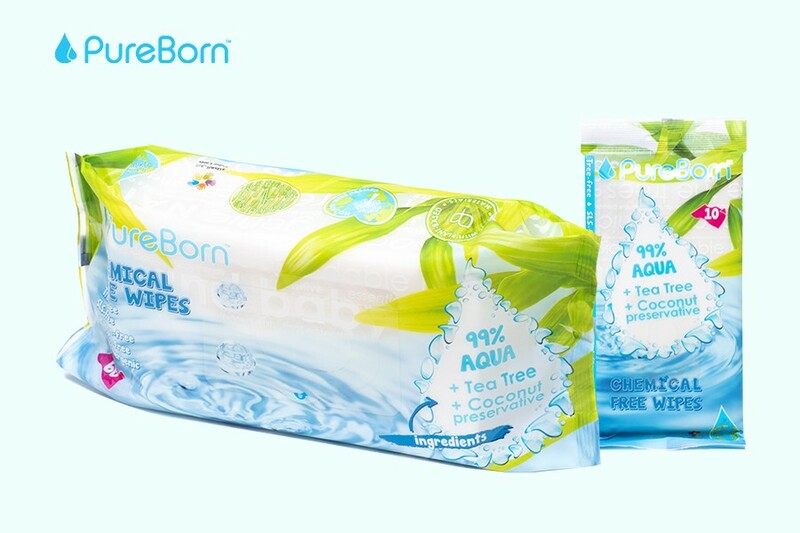 Pure Born understands that the most effective, tender and loving care is achieved by combining three core ingredients – aqua, tea tree oil and natural preservative coconut oil – in order to provide you with unrivalled wet wipes for children’s sensitive skin. The key constituents are tea tree oil which has antifungal and antibacterial properties, and coconut oil that gives a long-lasting moisturising effect. Designed with parents’ experience at its core, Pure Born ticks all the boxes: a 10-pc slim pack will ideally suit your handbag, whilst a 60-pc pack of wipes will be just perfect for any messy situation. 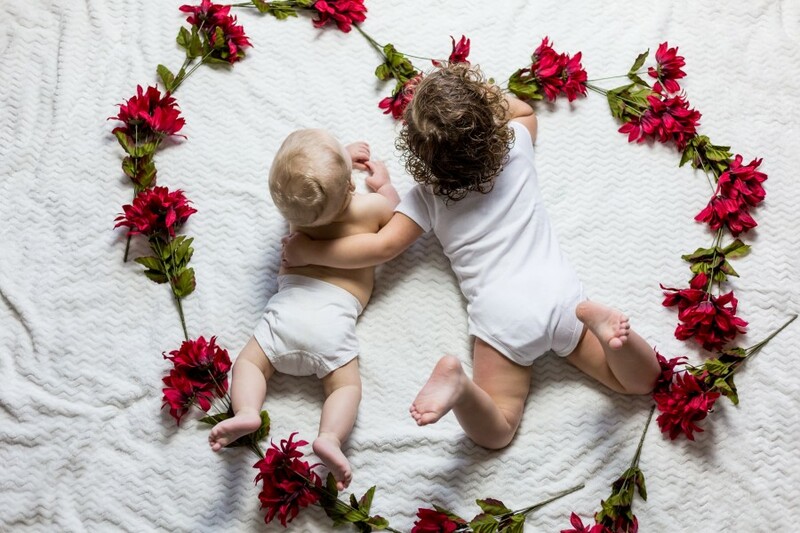 Pure Born is also a clear winner with its range of eco-friendly bamboo nappies on offer. Young kids are generally much better at coping with travelling, when regularly fed. In such scenarios, kids end up tending to the extremes of being excessively picky or eating unhealthily, through snacking on junk food or even eating nothing at all during the journey. What is the solution to this predicament? A perfect response is to provide a lunchbox packed with your kids’ usual healthy lunch or snacks! Our personal favourite? If you fancy trying something cute, compact, lightweight and made according to EU standards, Citron has some of the best lunchboxes around (and certainly the most-Instagrammable). Enjoyed by kiddos and adults alike, their lunchboxes can be easily packed in a backpack or even suitcase when it comes to short car trips, train journeys or family outings. Thankfully, now you can pack wet foods like yoghurt and any yummy dips/sauces without worrying, as it seals with two lids to ensure no leaks. It is available in two sizes, plus a selection of varied colours and models ranging from a unicorn, flamingo, tractor to a spaceship. These lunchboxes come with alphabet stickers, so you can write your kid’s name on them or even decorate it with some funny messages. 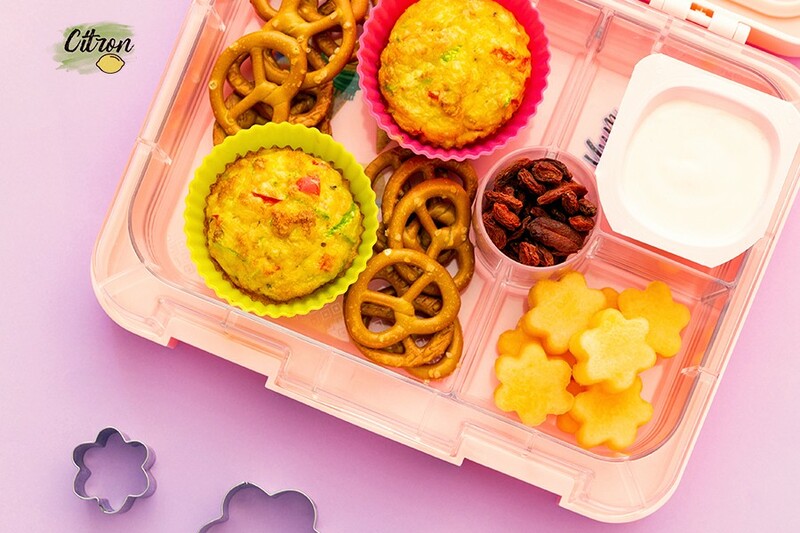 To make the lunchboxes even more useful, opt for their cutter set. The pack includes a mix of sandwich cutters, fruits & veggies cutters and food picks. It caters for a variety of tastes and preferences. On long journeys what better way to pass the time for your children and yourself than to listen to an audiobook? These have the advantage over games and movies on screens in that they won't induce travel sickness nausea in the children. A common curse especially for small children. 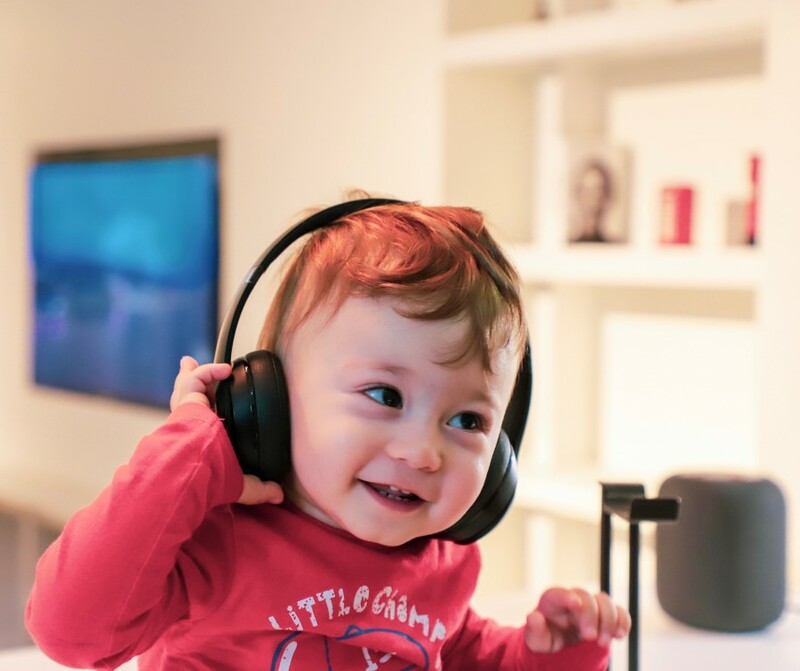 Audiobooks also have the advantage that it stimulates your child's imagination by painting magical castles, fantastical beasts, rocket ships or whatever your chosen book conjures up. Audiobooks are widely available and cover all children's classics and favourites. They are voiced by well-known actors providing rich tones and reassuring familiarity. It’s worth noting that books come in two forms either unabridged, meaning every word in the printed book is spoken, or abridged a concise form of the story. The later having the advantage of keeping the pace swift and story moving along to keep the child's attention. The unabridged version is better for retaining familiarity of a well-loved family favourite. Thus, an unabridged audiobook allows the child or adult to pick up the story at the exact point in the book that the audio left off. 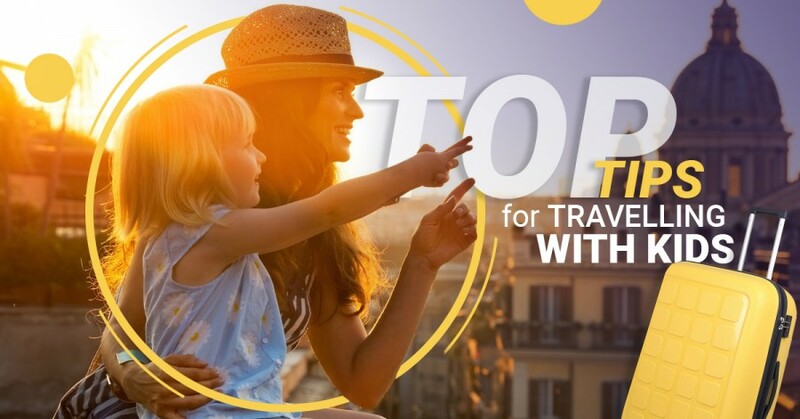 Planning a family trip might be fun, but packing for travelling with kids is definitely not that thrilling. Certainly, there are some practical things to consider: whether your kids really need all their 103 Beyblade toys or LOL dolls along with your sets of 50 bathroom products and 10 pairs of shoes. If you cannot stand closing your suitcase, this video will show you how to make the most out of every inch. So you can stop wrestling your case and start enjoying the journey with your loved ones! 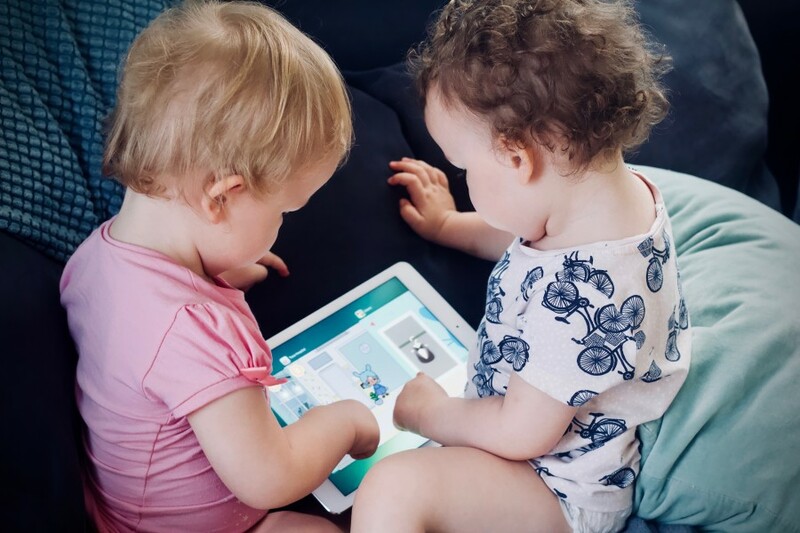 This is definitely your kid’s favourite detail: an iPad or tablet is an ultimate travel companion for your little ones. Able to store thousands of games, videos, films and cartoons, this gadget is just kiss away that will keep your sprog entertained for hours. Holiday time means oodles of excitement, with kids in buoyant moods and boundless reserves of energy. 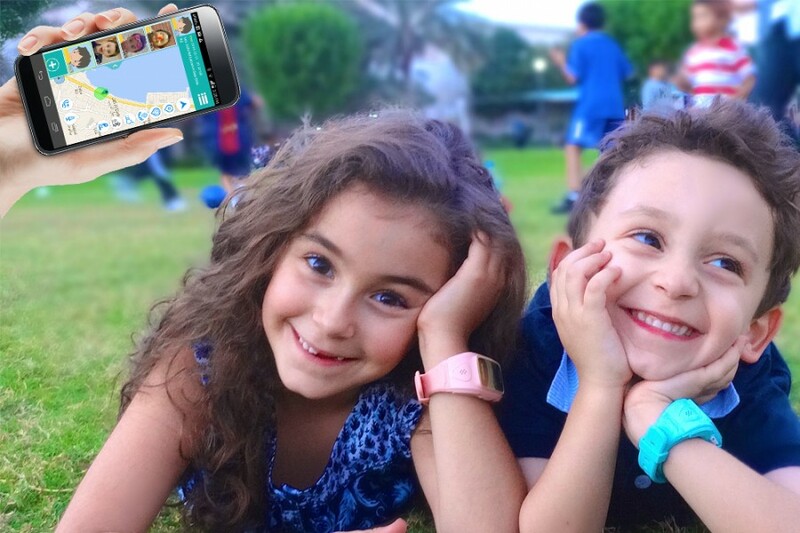 Children tend to wander off due to a desire to explore their new environment, so keep track of your little explorer with a wearable water-resistant child locator. A child tracker comes in varied shapes and sizes, but the most useful and popular option is a kids GPS watch. It enables you to track down your kids, call them and be alerted by activating an audible alarm if they go beyond the bounds of a certain zone area you have set. This device is especially useful when you can’t keep an eye on your kids all the time such as during holiday periods. A first aid kit is perhaps the most essential item to pack when travelling with kids. Take enough medical supplies for the duration of your visit. 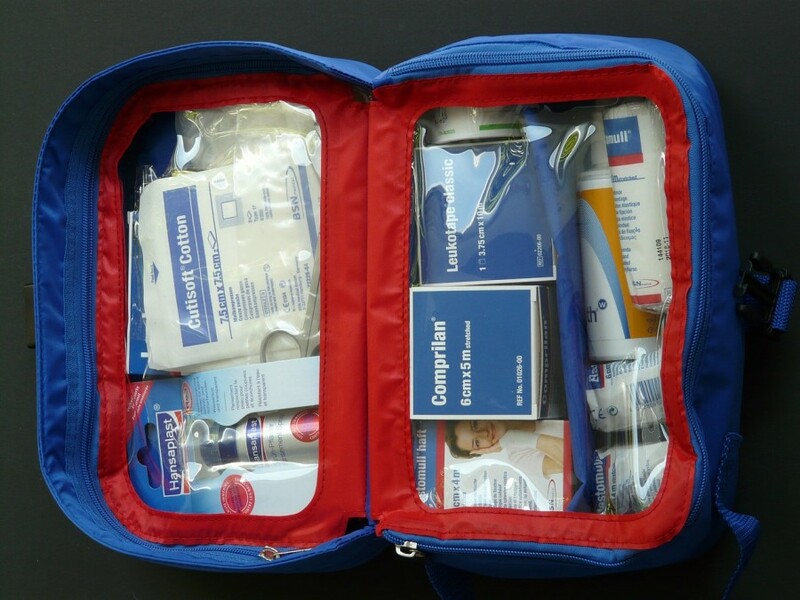 It is important to take a ready-packed first aid kit or create your own one, which may include: digital thermometer, painkillers containing paracetamol or ibuprofen, antiseptics, antihistamine, insect repellent, plasters in different shapes and sizes, bandages, calamine lotion, rehydration products (tablets, powder or gels), sterile saline eye & wound wash pods, scissors, tweezers, and, of course, prescribed medicine if your child takes ones. Make sure you have emergency contact information in the country you are visiting. Before travelling abroad, get comprehensive travel insurance to meet your family needs. Anyway, it is your responsibility to ensure you have enough money (cash, debit/credit card) to cover emergencies and unexpected delays.